Since 2008, we’ve been honored to be a part of the community of refugees from Burma as they make their home in Minnesota. Throughout many changes in the past decade, KOM has been a reliable place for thousands of refugees to find help today and plan for a bright future. Your consistent support enables us to innovate our programming as we respond to new challenges and opportunities ahead. In Karen, “Htee Moo” is a phrase describing the headwaters of a stream–an everlasting source of water that gives life to those around it. 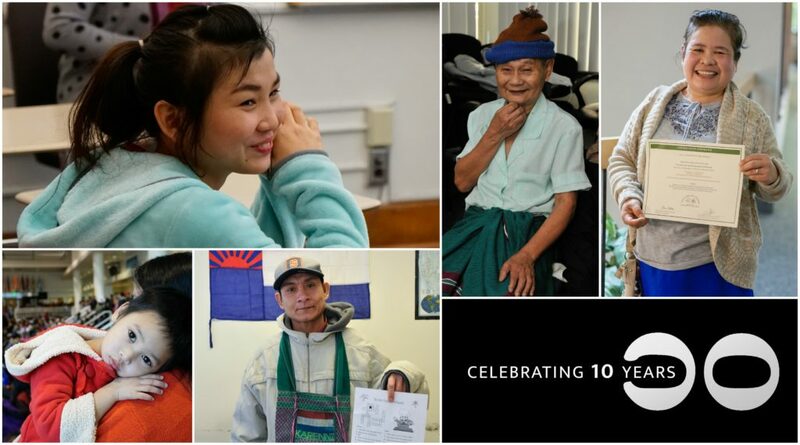 To celebrate our tenth anniversary, we are launching the Htee Moo Fund to invite you to join us in building a reliable source of support for refugees in Minnesota. This new giving opportunity allows you to set up a monthly gift using your credit card on our secure online platform. You choose the amount that you would like to give each month, and you can change or stop your recurring gift at any time. $5/month can provide a grocery card for a family with a financial emergency. Through the end of December 2018, the Otto Bremer Trust–a longtime supporter of KOM’s mission–has pledged to match all individual donations and pledges up to $5,000. Double your impact by making a gift today! We invite you to make a one-time gift or to contribute to the Htee Moo Fund as a monthly donor. Thank you so much for journeying with us over the past 10 years and for helping us build a strong future for years to come!